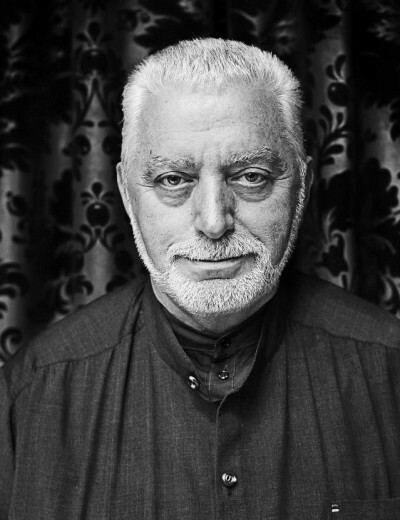 Paco Rabanne, originally Francisco Rabanedacuervo, was born on 18 February 1934 in Saint Sebastian, Spain. He was called Paco for short. His mother was Chief Seamstress at the Spanish salon of Balenciaga. He fled Spain for France with his mother when the Spanish Civil War broke out. 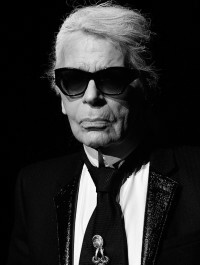 He originally had an architect’s education at the Ecole des Beaux Arts, Paris graduating in 1964, but became known as the “enfant terrible” of French fashion world in the 1960s. Rabanne started his career in fashion by creating jewellery for Givenchy, Dior and Balenciaga. In 1965 he started his career as a designer by presenting a collection of 12 contemporary dresses which he called "the Unwearables". These included his first plastic dress. In 1966 Paco Rabanne opened his own outlet at the age of 32, where he earned international repute for his metal-linked plastic-disc dresses, sun goggles and jewellery made of plastic in primary colours. Paco Rabanne's dresses made of small plastic tiles linked together by chains, stole the show in Paris. 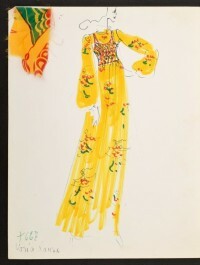 In the 60's Paco Rabanne was in demand as a costume designer for the cinema, theatre and ballet. In the seventies, Paco Rabanne was the first to use black girls as models, which was thought to be quite outrageous then. One of his most famous outfits is the costume for Jane Fonda in the science-fiction film "Barbarella" in 1968. By 1975 he was still bending hard-edged materials into dresses, but very few people wore them. Women had discovered the appeal of softer, ethnic looks. In 1989 Paco Rabanne was awarded the Golden Thimble at the lst International Festival of Fashion. Collections during the 80's were constructed out of crinkled paper, strips of aluminium, rough cotton towelling, Perspex, maze-like configurations of patchwork leather, ostrich feathers and upholstery tassels. In 1990 Rabanne inaugurated his new boutique on the rue de Cherche Midi, Paris. The architect Eric Raffy designed the interiors based on 3 themes, metal, glass and light. During the 90's Paco Rabanne has diversified away from metallic and plastic materials only, and started to present collections in softer man-made fabrics like sofrina and amaretta. Paco has written a book called "Journey" which is a personal account of his search for spiritual understanding and tells how he has applied the results of his search to his creative fashion work. In 1999, Paco Rabanne presented his final collection and retired. Aurelien Tremblay and Christophe Decamin will design ready-to-wear for the house of Rabanne and Oliver Debias will design the Paco line. The Barcelona, Spain, financial house of Puig has bought out the house of Paco Rabanne in 2000. A major retrospective exhibition of the design work of Paco Rabanne has been mounted at the Galleria Carla Sozzani in Milan, from September to November 2002. In 2000 young designer Rosemary Rodriguez (born 1966) joined the House of Rabanne. In 2002, Paco Rabanne handed over the design to her. In February 2005, it was announced that Patrick Robinson, who was earlier with Perry Ellis, has joined the house of Paco Rabanne succeeding Rosemary Rodriguez who was the designer for several years there. His architectural background led him to use disks cut from metal or plastic, linked with wire and other interesting techniques when he created his fashions. In his hi-tech period, he produced tiny metal, vinyl and plastic link dresses. These fashion experiments were important in pushing the boundaries of acceptable clothing to wear on the street. Rabanne created his clothing by laying a woman on a table and shaping the metal parts directly on her body. This prompted Coco Chanel to remark that he was not so much a couturier but a metalworker.